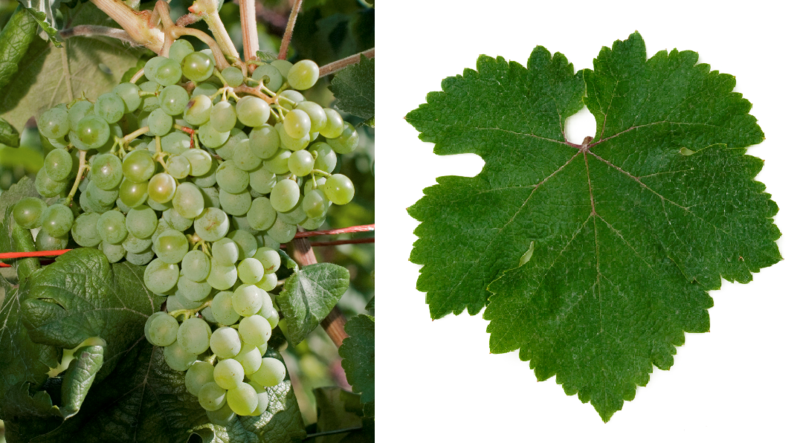 The white grape comes from Greece, Synonyms are Asprathiri, Asprathiro, Asprothiri, Asprothiro, Athiri, Athiri Lefko, Athiri Leyko and Athyri. The name reminds of their possible origin of the archipelago Santorini with the main island Thira. 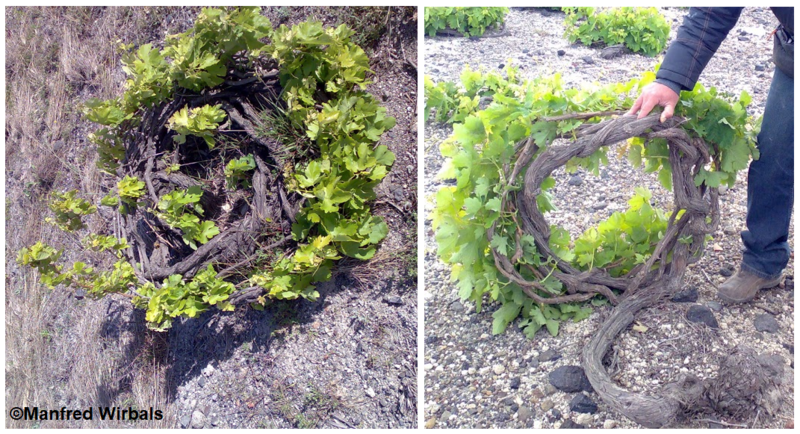 It is believed that the variety (among many others) for the production of the famous Malvasia wines was used as early as the 13th century by the historic Greek port Monemvasia were shipped out. Made in 2007 DNA analysis the assumption was refuted that she was with the variety Thrapsathiri identical, but the parentage is unknown. At the red variety Athiri Mavro it is a color mutation (or the other way around). The medium to late ripening vine is susceptible to the real mildew, but resistant to drought, It produces a fresh, fruity white wine with moderate acidity and alcohol content and lime flavor. The variety will be on some Aegean islands, the Cyclades, on Peloponnese and also on the mainland in Macedonia grown on the peninsula Chalkidiki. On Rhodes it is pressed from the "Athiri de Rhodes". On Santorini she is in the traditional form of education Kouloura cultivated and serves as a blending partner for Assyrtiko, On Crete she will be with Thrapsathiri and vilana blended to Peza wine. She is also called table grape used. The acreage in 2010 was 748 hectares with a decreasing trend (in 2000 it was still 1,273 hectares). This page was last modified at 6 March 2018 at 14:26.